Proserv’s enhanced platform is a dedicated site for the rental and purchase of production equipment and services. The site includes an extensive fleet of general purpose and zone rated equipment, technical specifications and a chat function to ensure a timely response to all enquiries. 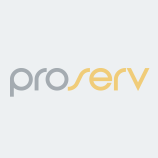 Proserv’s free customer web portal is a customised, password protected portal that offers fast and easy access to documentation, including certificates, full equipment and work reports, recalibration reminders, checklists and mobilisation packs.